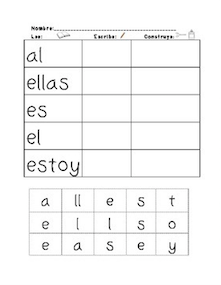 The Best of Teacher Entrepreneurs III: Early Reader Spanish Sight Words - "Spanish Sight Word Packet aligned with ENIL"
Early Reader Spanish Sight Words - "Spanish Sight Word Packet aligned with ENIL"
This sight word packet is aligned with the American Reading Company's ENIL. 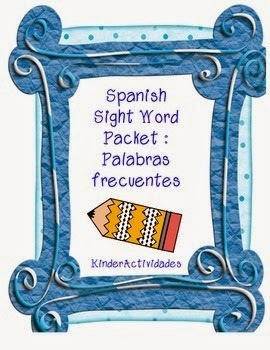 The packet includes all 60 of the sight words recommended for early readers (reading at a level 1 Verde) typically in Kindergarten and First Grade. There are 14 worksheets included here and they ask students to read the sight word, write it, and copy and paste letters to form the word. These worksheets are great for centers, homework, or whole group! They also keep the students very busy if you have a substitute! Sight Word Packet: Click Here! Visit my store, Kinder Actividades, for more bilingual activities!